As the spring season heats up, we wanted to take a moment to let you know about two exciting upcoming events! 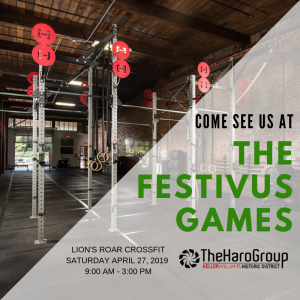 The first event we’re sponsoring is The Festivus Games! The Festivus Games are for the Novice, Intermediate, and Masters 45+ athlete. The competition is about capacity more than a high degree of skill. The event will be held at Lion’s Roar Crossfit (1320 Hampton Ave Ext. Unit 1) on April 27, 2019. The games start at 9am and run until 3pm. To learn more about the event and how to register, click here! You can also check out the event on the Festivus Games Facebook page. 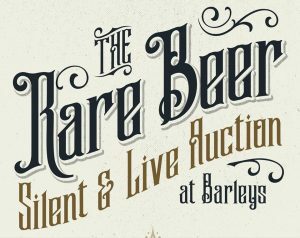 The second event we’d like to invite you to is the 4th Annual Rare Beer Auction at Barley’s Taproom & Pizzeria (Greenville). All of the proceeds from the event will go to support the Julie Valentine Center. A ticket to attend is $10, which covers your first pint of delicious craft beer! The event will be held on Sunday, April 28, 2019 6-9pm. To register for this event, click here. You can also check out the event on Barley’s Facebook page. If you have any other questions about these upcoming events, feel free to reach out to us as well. We’d be happy to speak to you.